Penthouse: the word conjures up luxury and exclusivity. Thing is, it’s a clever 1920s rebranding of the top of a building, where no one with any choice used to want to live. For most of the city’s history, the single-structure mansion was the preferred domicile for the rich. 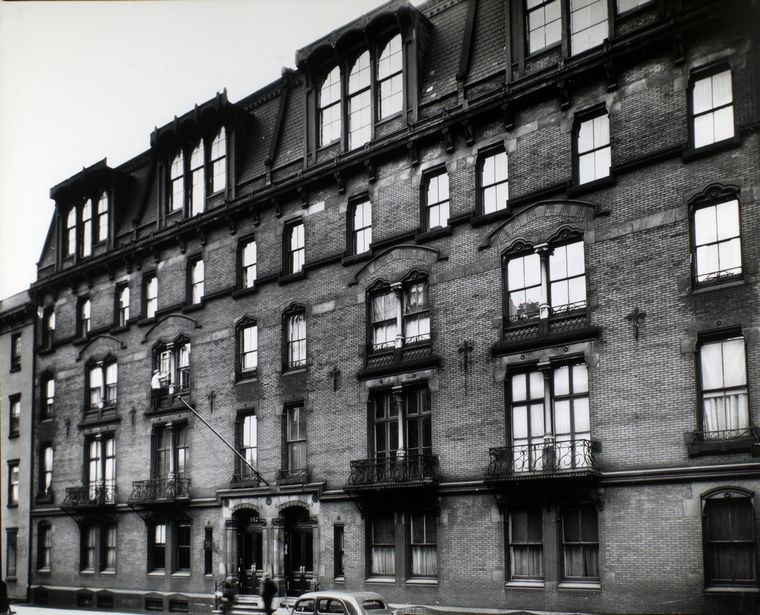 At the turn of the 20th century, monied New Yorkers were increasingly occupying “French Flat” cooperative apartments. 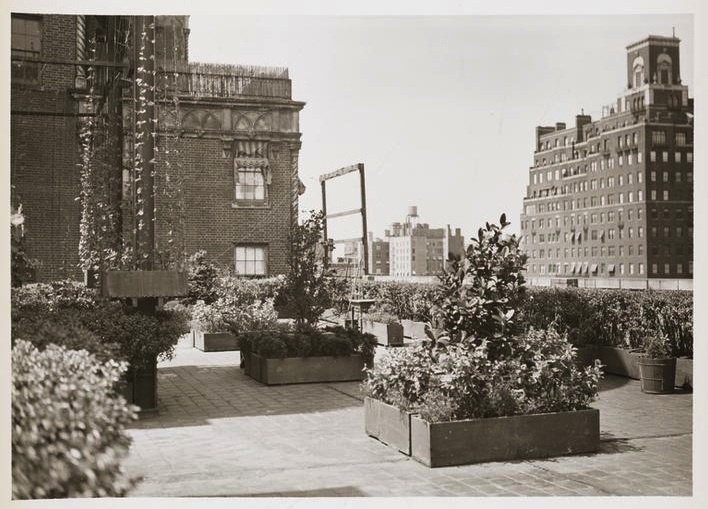 But even then, the undesirable rooftop apartment was given over to servants. Until the city and its tastes changed in the Jazz Age. 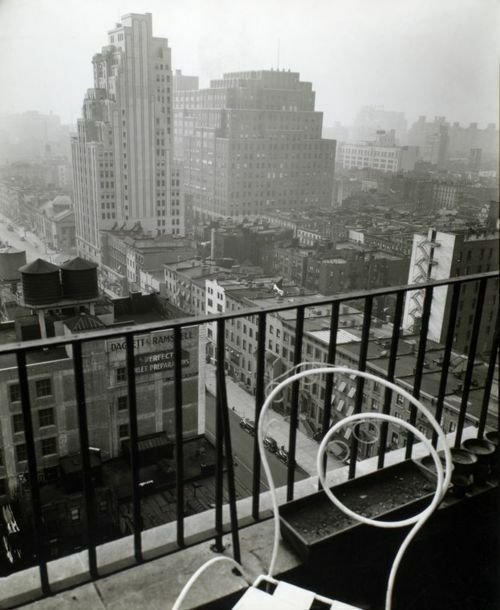 “By the end of the 1920s, the cliff dwellers of Manhattan were beginning to appropriate for their own pleasure the once forlorn roofs of apartment buildings,” writes Donald L. Miller in his excellent new book on New York in the 1920s, Supreme City. A 1924 New York Times article foresaw this new desire for penthouses, which were still very limited in number, and only a few dated farther back that the late teens. 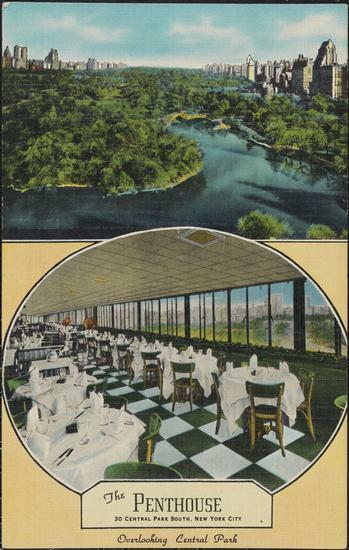 One penthouse in particular, “is a substantial affair of steel construction, cement floors, and wire embedded windows. Windows on four sides give on the towers and steeples, the skyscrapers and the occasional treetops of the city. Today’s New York is a city of singles. But until about 150 years ago, it was impractical and expensive for unmarried adults to live alone (as well as morally suspect when it came to unhitched women). Things changed in the 1870s—for guys, at least. “With the growth and industrialization of New York City in the 19th century, the work force consisted of very large numbers of unmarried men,” explains a 2004 Landmarks Preservation Committee report. All these unattached guys had to live somewhere. 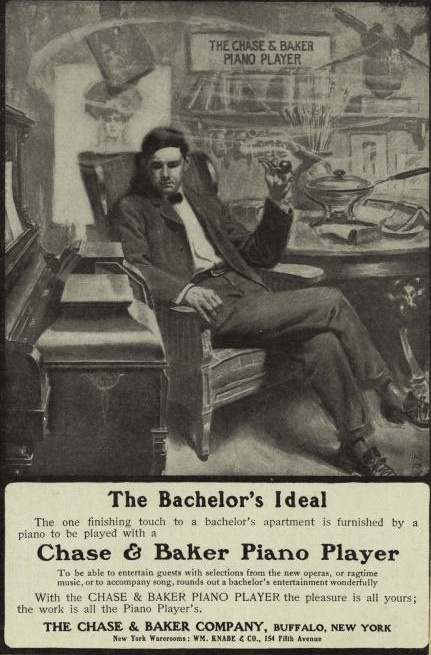 One solution for men with cash was a new type of housing called the bachelor flat. Bachelor flats were basically apartment residences that consisted of a suite of rooms or just one room, sometimes with a kitchen and bath; sometimes without. Many of these bachelor flats are long gone. But some still exist. There’s the Benedick on Washington Square East (mentioned in Edith Wharton’s House of Mirth), the Gorham on Broadway and 18th Street, and a lovely copper-topped, circa-1890 building at the corner of Fifth Avenue and 30th Street called the Wilbraham. The guys at the Wilbraham didn’t have their own kitchens. But there was a communal dining area, and they had plenty places to eat in their neighborhood—then a posh, happening area. The bachelor flat concept didn’t last long. 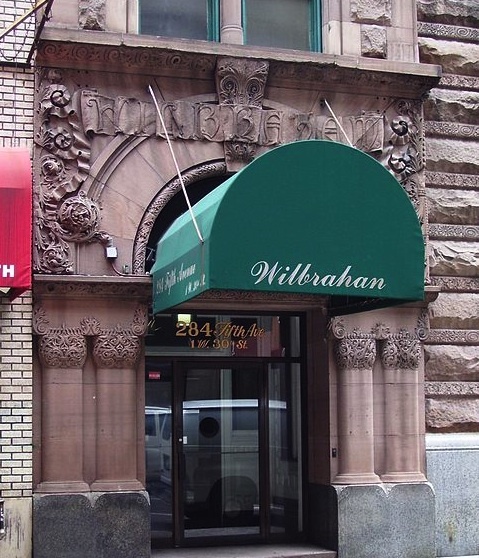 By 1927, the Wilbraham was open to women, and today, it’s a regular apartment building. Bachelors are still here, of course, along with their female counterparts. Fancy flats—or low-rent tenement apartments? In the late 19th century, could you class up a typical city tenement building by calling it a flat? Looks like some developers thought so. “French flats”—distinguished from tenement houses by modern luxuries such as parlors, dining rooms, servants’ rooms, and indoor plumbing—caught on in the city after 1870. 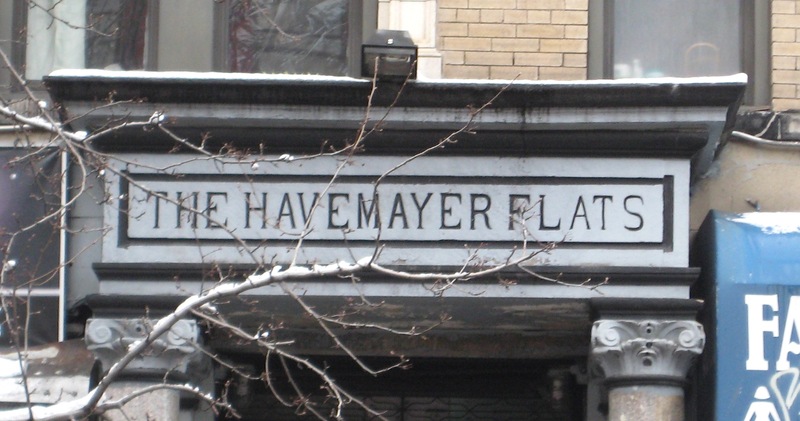 But considering that neither Williamsburg nor the East Village were upper-class neighborhoods, I doubt the residents who ended up in the Havemayer Flats, on Havemayer Street, or the Mascot Flats, at 6th Street near Avenue D, had servants. 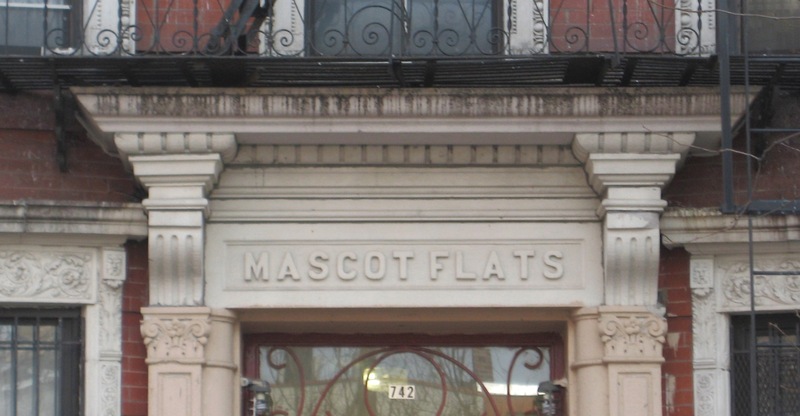 Mascot Flats has an interesting recent history. Abandoned and then torn apart by thieves and drug addicts by the early 1980s, it was renovated in 1986 with help from Jimmy Carter and Habitat for Humanity. Check out photos of the pre-renovated interior here. A 1990 documentary, The Rebuilding of Mascot Flats, chronicles its rebirth. Most city tenements are marked at the top by a name, presumably of the builder, and the year the structure was completed. 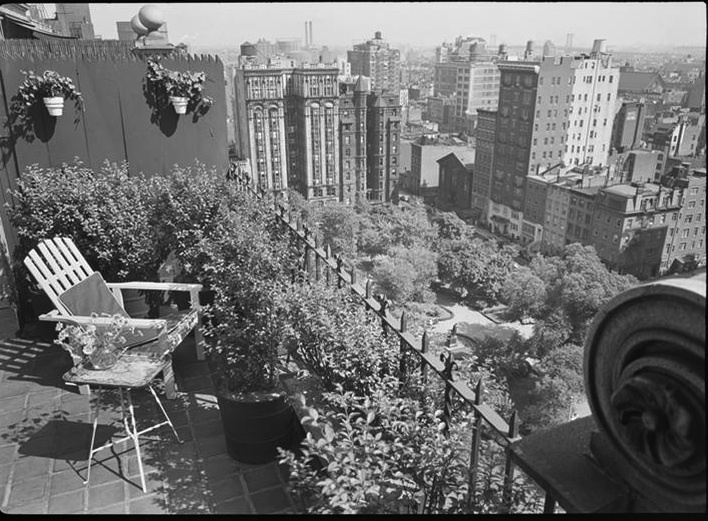 But at 744 Ninth Avenue, off 50th Street, the tenement is named “9th. 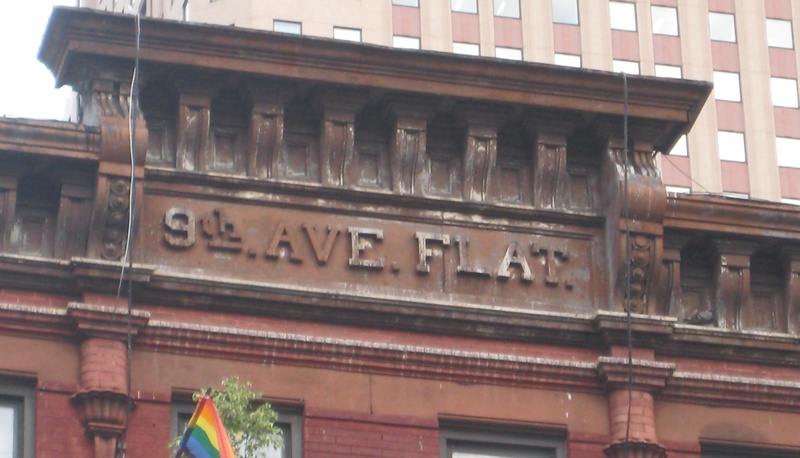 Ave. Flat.” It seems to be a pretty fanciful moniker for a typical red-brick tenement building; “French flats” at the time were usually higher-end apartments for middle-class New Yorkers. Perhaps the builder had amenities inside—private baths?—that put it a notch above the usual late 19th century tenement apartment. Also on Ninth Avenue in Hell’s Kitchen is another strangely named tenement building. I wonder what “Foresters Home” was—just a tenement put up by a man named Forester? Or maybe some kind of charity residence that housed orphans or the indigent. Only two 8s remains from the two inscriptions announcing the date it was built: 1880. 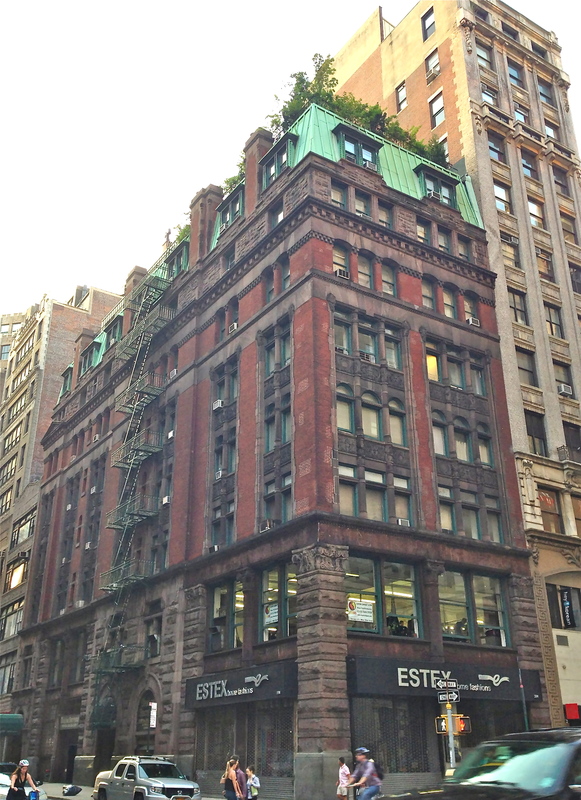 Brownstoner’s Montrose Morris has more on the French Flats building boom. 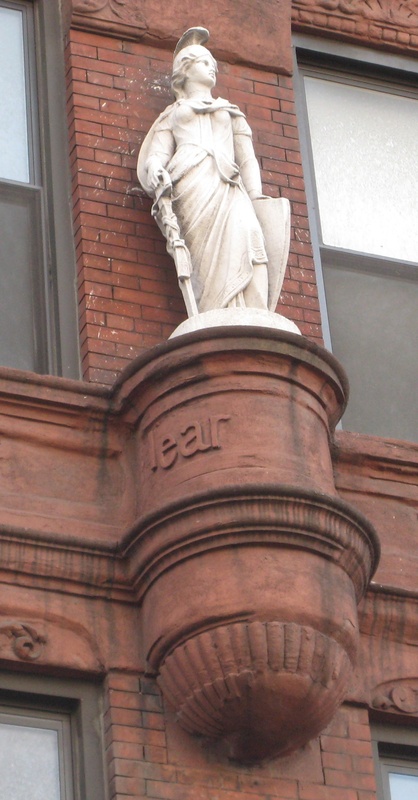 It’s a strange sight: On the mostly nondescript commercial corner of 14th Street and 7th Avenue is a striking red-brick apartment building—complete with a statue of Jeanne d’Arc above the front entrance. 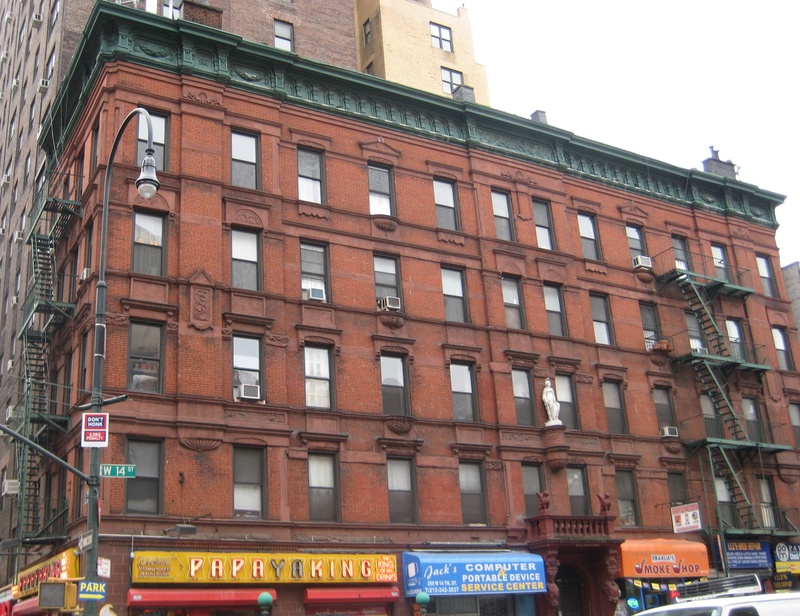 Called the Jeanne d’Arc, the building is a remnant of the brief time in the 1880s when West 14th Street was a wealthy residential area. 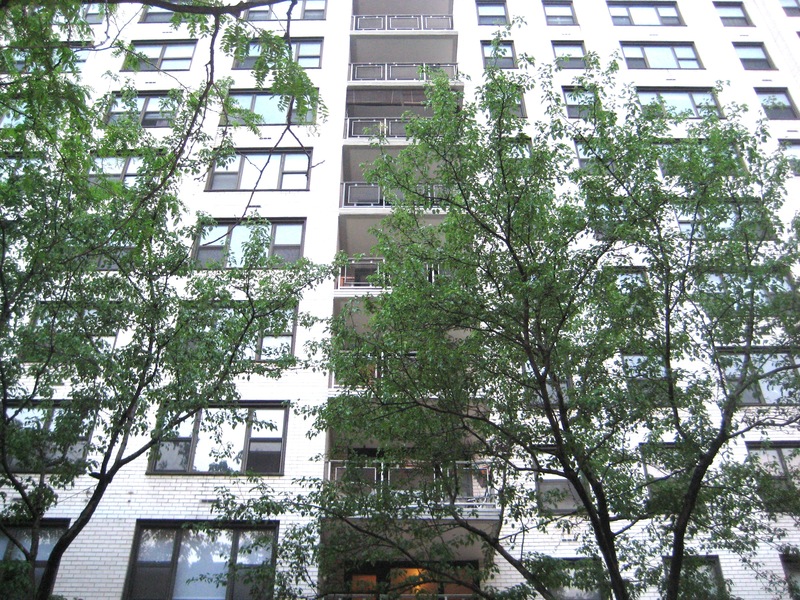 It’s also one of the city’s first “French Flats,” a fancy name for a middle- to upper-class multiple-family dwelling. In other words, it’s the standard apartment house we know and love that’s all over New York City today. Completed in 1889, the Jeanne d’Arc was designed to attract upwardly mobile families who could afford a building with design touches such as a pressed-metal cornice, carved figures and griffins, and a statue of Jeanne herself.